Researchers at Harvard University recently received a $3.6 million grant from the NIH for a project called “Flybase: A Drosophila Genomic and Genetic Database.” Harvard University receives a great deal of life science funding in a number of life science disciplines, making the school one of the best markets in the country for life science sales. In the project’s abstract, the NIH RePORTER provides more details about the work the NIH’s latest grant is supporting. Lab suppliers in Boston will find a well-funded life science sales market at Harvard University, given this latest NIH and grant and other life science funding statistics. In 2012, the NIH awarded Harvard University $392 million in life science funding. The funding was given out to a number of different departments at the university. For the convenience of our readers, we have composed a list with the various life science departments receiving funding. A full list of departments receiving funding can be found at the NIH website. In addition to receiving life science funding from the NIH, Harvard University also received $55.3 million from the NSF in 2012. The money was given out to a large number of individual projects in the science research field. Harvard University had a total operating budget of $655 million in 2011, with research grants and contracts contributing 34%, or $304 million. For more funding information on Harvard University, please read our blog article Harvard Medical Life Sciences Update on NIH Funding and Research. Given these funding statistics, it’s clear that Harvard University has a great market available for life science sales. 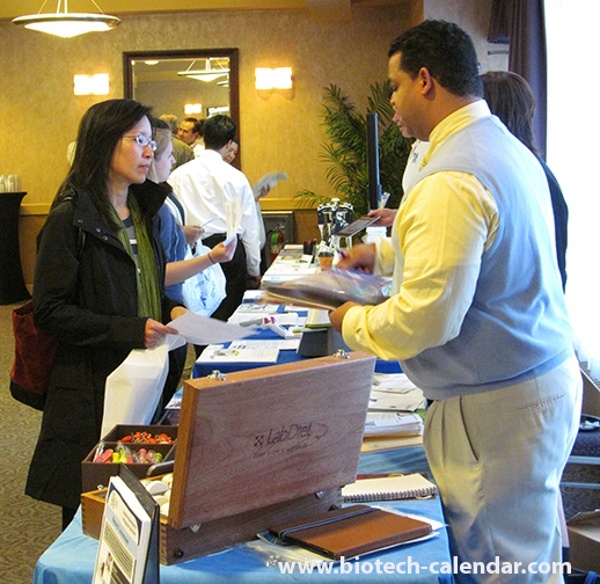 Biotechnology Calendar, Inc. invites lab suppliers to network with others in their field at our Boston BioResearch Product Faire™ Event on April 24th, 2014. Biotechnology Calendar, Inc. is a full-service science research marketing and events-planning company that organizes life science marketing events at top research universities across the country. If you’d like to learn about a life science sales market closer to home, we encourage you to view our 2013 calendar of events and 2014 calendar of events. For more information on our Boston BioResearch Product Faire™ Event, or to view more funding statistics for Harvard University, click on the button below.